Have a question on Soul? KIA Soul is available in 10 different colors - Black Cherry, Vanila White, Titanium Gray, Bright Silver, Clear White, Inferno Red, Newport Blue, Mustard, Acid Green and Toffee. 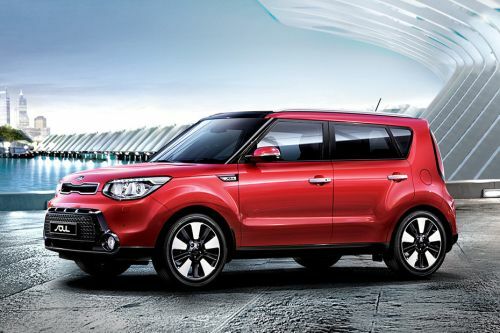 What is the price of KIA Soul? On road prices of KIA Soul in starts from AED56,900 for base variant 1.6L Base, while the top spec variant 2.0L Top(Special Paint Package) costs at AED82,500 . What are the colors options available in KIA Soul?